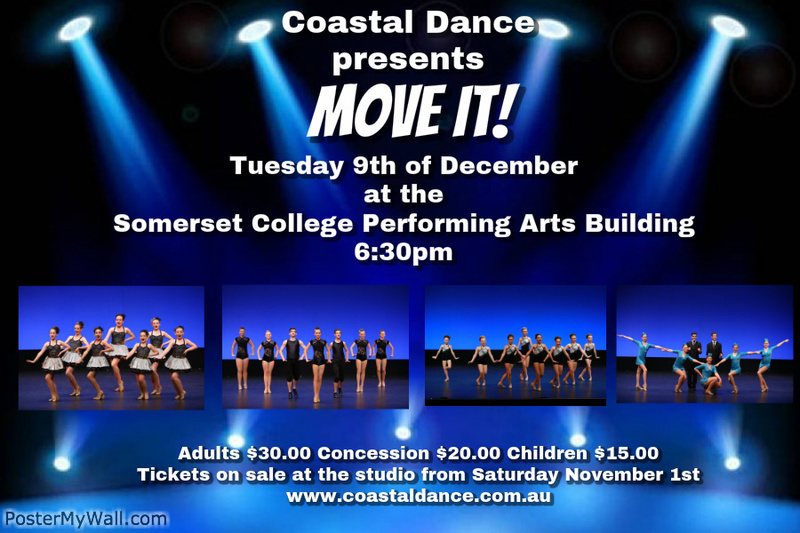 Coastal Dance will be presenting our 3rd annual concert Move It! at the Somerset Performing Arts Building on Tuesday the 9th of December starting at 6:30pm. The concert will feature all the students of Coastal Dance in an entertaining night of song & dance. They will be available to purchase from Chris in reception on Saturday the 1st of November from 10am.